Over the last few years, Tallinn has increasingly become a destination for foreigners from all over the globe to lay down new roots. In our new series, we ask expats a few questions including their reasons for coming here and why they decided to stay. Each of them has a unique story to tell and we trust that whether you are merely visiting, or planning on making your stay in Estonia a longer one – you’ll find out something new or interesting about this increasingly multi-cultural Nordic State. Tina Allen Kolessar is an entrepreneur and editor specialising in turning basic translations into coherent and effective communication tools for her clients, and a fairly recent expat who has called Estonia home for the past 18 months. What originally brought you to Estonia and where are you from? I’m the “trailing house” — having moved to Estonia to follow my husband’s career. We moved here from Virginia, but I grew up in Ohio before spending my 20s in New Jersey just outside of NYC. What were the reasons that made you want to relocate to Estonia? We had previously spent 2010 here before heading to Istanbul, so we already had a deeply rooted love for Estonia. When the opportunity arose to move back, we didn’t hesitate! Did you experience or how much of a culture shock was it for you to move here? Culture shock is at a minimum. Tallinn possesses most of the Western creature comforts. The winters are no more gray than they were in Ohio, they just last longer. My contemporaries here are fairly world-traveled so tend to be more open, chatty, and kind than the otherwise notoriously reserved Estonians. I’ve only felt the very best kinds of culture shock: Awe at e-services/ e-governance; the surprising freedom and safety with which everyone, including small children, move about; and joy at the overall enchantment of the country. What are some of your favourite spots in Tallinn? Telliskivi Creative City is an inspired neighborhood - I enjoy the social events held there, including ESTonishing Evenings; Lendav Taldrik restaurant for my favorite tikka masala; and the people/dog watching! 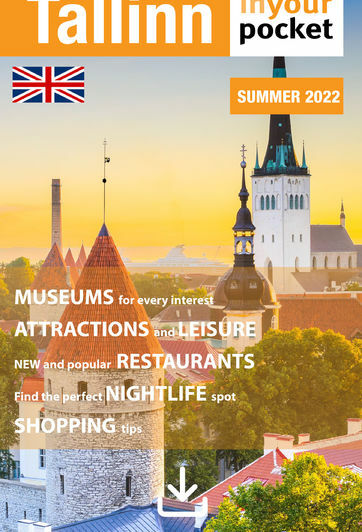 It’s also pleasant to sit on the shady benches at the top of the Tallinn Song Festival Grounds or to visit any number of cultural events or art exhibits at The National Library of Estonia. How would you describe Estonia as a country, and Estonians? The main word I use to describe Estonia is charming. Yes, Estonians by general nature are reserved; however, every local friend I’ve made has been warm, gregarious, and helpful. There is charm everywhere you look, from the Old Town to the abundance of lilacs blooming in the spring to the stork nests atop towers and barns to the zillion dragonflies landing on you as you hike in the bogs. How is it to live here and does it feel like home now? It’s wonderful to live here. It’s refreshing to be in a country small enough to retain common sense and shared traditional values. It’s a “small ship” and, therefore, much easier to stay the course — or right the course if necessary — than say: America. I absolutely feel at home. I also feel rooted and part of a community now that I’ve quickly and easily set up my own business, www.linkedin.com/company/american-english-international-ou. What is your favourite Estonian word or words and why? Vabaduse väljak! It means freedom square. First, it’s just fun to say! Second, we live right next to Tallinn’s Freedom Square. It’s where we meet up with friends and visitors, and it’s the convenient-to-us starting point for so many parades and activities.